You can forget about eating your lunch on the go or grabbing dessert from a food cart in Florence – because eating on the street has been banned, effective immediately. Apparently, too many people have been eating on the pavements and doorsteps of the Italian city – and it’s gotten so bad the city has banned eating on certain streets from noon to 3pm and from 6pm to 10pm daily. And for those caught? They’ll face fines between €150 and €500 ($173 to $578). Which is a lot to pay for a slice of pizza or scoop of gelato. 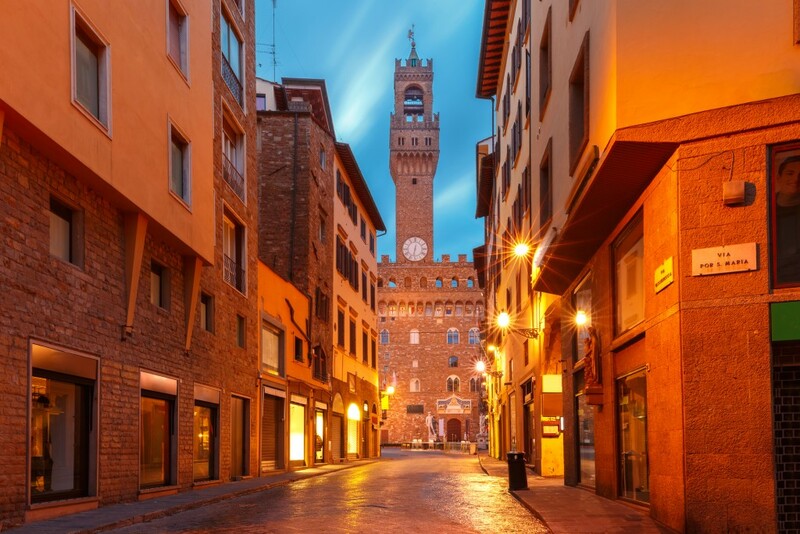 The rule only applies to four streets running through the centre of Florence: Via de’ Neri, Piazzale degli Uffizi, Piazza del Grano and Via della Ninna, which are filled with historic sites like the Palazzo Vecchio. According to Lonely Planet, this ban has been put into place a year after the mayor of Florence, Dario Nardella, got street cleaners to hose down steps of two historic sites to prevent people from sitting and eating on them. Florence doesn’t have many benches or public spots to sit and eat, which means the masses of tourists visiting the city tend to eat on the kerb or in public doorways, which creates a litter problem and makes the narrow streets – packed with takeaway joints and food carts – even trickier to navigate. The ban is effective right this minute and will stay that way until January 2019 at the earliest. so why dont they just add benches and places for people to sit and eat with bins? Travel Weekly is loving this new trend of ‘lucky dip’ flights, and holds high hopes that our next domestic flight takes us to Hawaii. We’d also settle for New York or Paris though. Feel like spending your day drooling over foodie travel that’ll put your lunch to shame? Here are TripAdvisor’s top ten food experiences. Mexico has been faced with tough travel restrictions by the US due to an “ongoing security threat”. This comes just weeks before Easter break.